A.J. Fusco has been a career firefighter in Harrison, New York since 2005. Prior to his hiring he was a volunteer in the same department. Early on in his career he realized the importance of the firehouse kitchen, and the cooking and camaraderie that takes place in it. So in 2011, he started Fork and Hose Co. as a way to share his passion for cooking with other firefighters. Over time, F&H Co. grew to a community of firehouse chefs, sharing meals and recipes from all over the world, with a focus on healthier cooking. In 2016, A.J.’s dedication to firehouse cooking landed him on Food Network’s Guy’s Grocery Games twice, and on his first show he won the Salute to Firefighter’s episode! And with part of his winnings he was able to donate a 555 Fitness grant to a department in need. 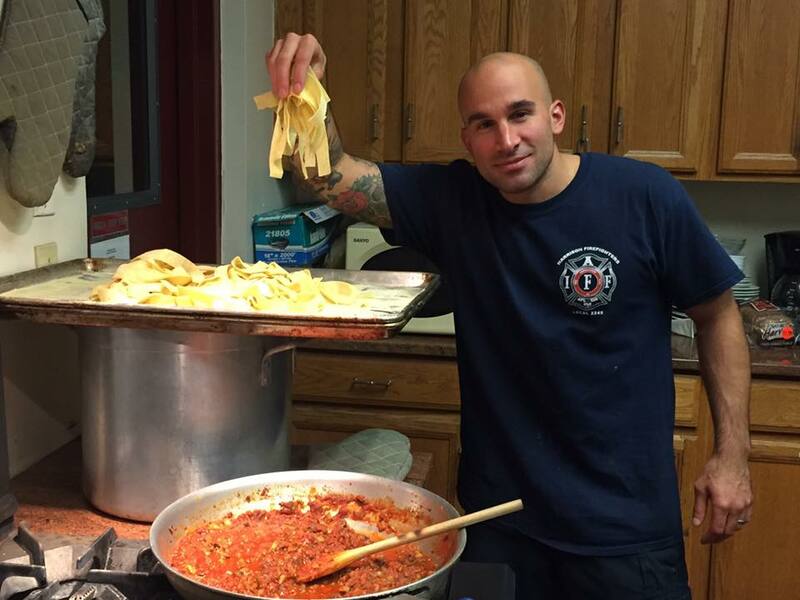 A.J.’s passion for cooking didn’t stop in the firehouse! He enrolled at the International Culinary Center in Manhattan in 2016 and graduated Top of the Class in the Professional Culinary Arts program. A.J. has worked in professional kitchens in Manhattan and Westchester since graduating and continues to do so on his days off from the firehouse.